When you are in the process of a move there are numerous things, tips and tricks you ought to know so that your move can go without any unpredicted happenings. That is why we are here. To give you some pointers on one very relevant thing, furniture disassembly. If you want to move and you have some big couch, chair, bed or whatever, you need to disassemble it in order to move it easier and without any damage. Furniture disassembly is definitely a solution for any bigger move. That is the reason to stay tuned and learn a bit more about furniture disassembly. Even if you are not moving, this is something good to know. You never know when you can need this type of skill. If after reading this article, you need some more information about moving in general, make sure to check Clinton moving company for any question you may have. When you want to disassemble a piece of furniture in order to move it easier, you ought to know that not every furniture can or should be disassembled. There are ways to learn this. The harder way is to start disassembling some chair for example, and then after removing a couple of screws, you learn that this chair should be left as it is because there is no way to assemble it later. Definitely, a better way to do this is to look very carefully the furniture you want to disassemble. See if it seems like possible action to do. Every part counts. If you decide to start to disassemble then what you can do is to take pictures. A lot of pictures that you will put in special folders. For example, a folder for a leg of the chair, etc. In this way, you will know more or less how to assemble it back to its original look. During this process, it is a must to stay organized! One of the easiest ways to handle furniture disassembly is to get someone to do it for you. Not anyone of course, but professionals. When hiring professional movers, you can ask them to do this for you. Of course, you do realize what this means. It will cost you more, even if the movers are charging hourly, if they disassemble and assemble the furniture for you it will take some time, therefore it will cost you more. 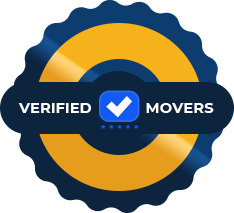 On the other hand, there are movers’ companies that are charging these favors a parted from their moving service, and in that way, you will still have to pay some extra money. However, if you are not sure how to disassemble the furniture, in the long run paying more right now will pay off. You will be a lot less stressed and anxious, and that doesn’t really have a price. This is something that you can do in no time and really easy if you have a new type of furniture. When we say new type, we mean something that was bought in the last couple of years. These new types of furniture are pretty updated and somewhat easy to disassemble. You practically have everything written on how to not only disassemble some part of the furniture but also to assemble it later, when you arrive at your new home or office. Therefore, if this is the case you are all set. Of course, you are all set under the condition that you have saved all those papers with the instructions. 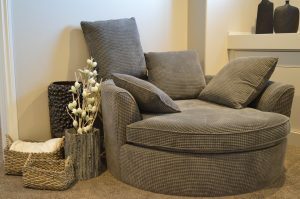 If you have older furniture, then you ought to find the best instructions you can, or advise with a professional. Especially in a case that you have a piece of antique furniture, for which is advised not to try to disassemble it unless that is the only way to move it to another place. What do you need for furniture disassembly? When you want to approach the furniture disassembly by using the DIY way, then you must know what do you need for this action. 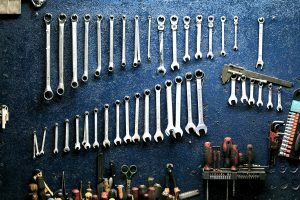 What type of a tool do you need? This tool is something you need to have. Of course, the more of the tool you have the better it is, but these three things are a must. 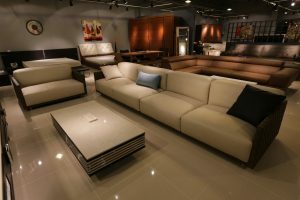 We already mentioned that the best way to go is t take pictures while you are disassembling the furniture, step by step. Yes, this is an obvious solution, however, there is another one, maybe even simpler. Before you start to disassemble your furniture using these tools, you can mark every part of the couch, sofa chair and similar to a label. This is another way that has been proven to help you to assemble it later. Therefore, this is something you cannot let yourself to forget. The last thing you need is to start disassembling the furniture before you mark every part of it and then you have no idea what goes where, and what does this screw do? When you want to disassemble some furniture, you must have your facts straight and questions answered. Can you even disassemble this? Do you have a proper tool? How can you assemble it later? Do you know what screw goes where? All of these questions and more have to be answered before you start doing anything. Of course, if you are not sure you should always go to professionals Manhattan movers and leave this to them.